The Orion Q by Lost Vape is the successor to the wildly successful Orion DNA GO pod system. The Orion Q Pod System introduces a brand new chipset to the Orion line, allowing for refined firing power. 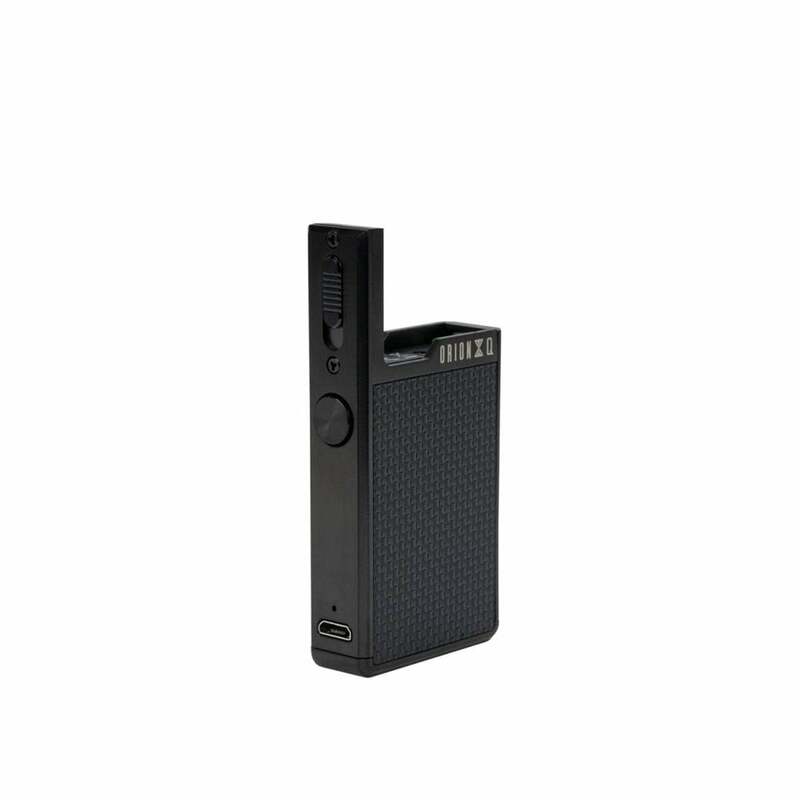 The Lost Vape has a direct-voltage output which automatically adjusts to the battery current power level, making sure your hits are always the smoothest, without any burning. The Orion Q by Lost Vape is built with stylish Zinc Alloy construction and features a 950mAH rechargeable battery with a max output of 17W. Adjustable airflow allows you to customize your vaping experience and experience smooth MTL hits however you want. The Orion Q refillable pod has a resistance of 1.0ohm and can hold up to 2ml of nic salts. With only one fire button, the Lost Vape Orion Q is perfect for vapers who love a no-fuss pod system. Designed for huge clouds and an unbelievable flavor, the Orion Q Pod system is perfect for just about anyone. Pods sold separately. The Orion Q is not compatible with Orion DNA GO pods. How Long do Orion Q Pods Last? Pros: Absolutely fantastic vape quality with airflow options to suit most anyone. Pods (so far) exhibit zero leaking, which is very likely due to the fact that they're top fill. I've now filled my first pod 6 times with no degradation of flavor. Keep in mind though that the "practical capacity" of the pod is not what it takes to fill an empty pod, but rather, what it takes to fill it above the wick. I'll call it half of the listed capacity. If you use it beyond that point, you'd better be tilting to keep the wick saturated. Ease of use is fantastic. Price is appropriate for the quality of the device. Con: The battery life. A 17 watt output into 1 ohm equals 4.1 amps (or 4100 mah). A 950 mah battery will provide roughly 15 minutes of vape time at that current. Keeping in mind that you can't discharge a battery fully for safety reasons, the real vape time is probably a little more than half that. Let's say 8 minutes. 8 x 60 seconds is 480 seconds of vape time. Using a 4 second puff as an example, you might get 120 puffs per charge. This is all rough estimates. You might get 90 puffs per charge, and you might get 200. Either way though, it's not enough. So, if you don't mind charging it several times a day, it's fine. If you'd rather not, buy two or three. I've gotten hooked on pod mod devices. I decided not to go with the DNA version because I don't want to mess with settings. I like simple. I've used JUULs, myBlu, and most recently the Aspire Breeze 2. This is BY FAR my favorite. The flavor is outstanding. Night and day compared to the others. This device is a little heavier in your hand than the others and that's a great thing. This feels absolutely indestructible with an all-metal chassis. The battery has been getting me through about 12 hours of regular vaping. I strongly recommend this device.